Guardado worked for the Los Angeles Unified School District for years, but he also had an artistic side and liked to sketch and draw. Guardado had three children and lived with his parents until last year when his mother, Martha, died, Navarro said. After that, he had trouble paying rent and bills and eventually became homeless. Navarro said Guardado did not frequent the Malibu area. Photo: Miguel Guardado with his mother, Martha. Courtesy of Claudia Navarro. 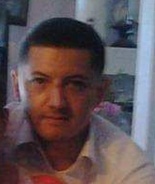 Share a memory or thought about Miguel Ernesto Guardado Jr.